Passionflower is a plant belonging to the Passifloraceae family. This plant is known by a lot of other names such as Water Lemon, Passion Vine, Granadilla, Maypop, Apricot Vine, Jamaican Honeysuckle, Maracuja, and Passionsblume Kraut. There are approximately 500 species of Passionflower, which grow as shrubs, vines, or herbaceous plants. However, what makes passionflower interesting is that this plant is very rich in glycosides, flavonoids, organic acids (such as formic, linoleic, butyric, linolenic, myristic, malic, palmitic, and oleic acids), amino acids, and phenolic compounds. Therefore, it isn’t surprising that this plant has been used to cure many health conditions for centuries. In addition, the beverage and food industry also uses the passionflower extract for flavoring purposes.  If you are looking for the health benefits of passionflower, have a look at this article on the Effectiveremedies.com in the line of Superfoods. What Are The Benefits Of Passionflower And Uses On Health? Passionflower is famous for its antifungal, analgesic, and antibacterial effects. 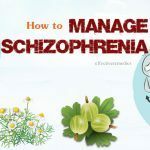 It also contains an antispasmodic, anxiolytic, and sedative activity, which is why this plant has widely been used as a great calming herb for the natural treatment of nervousness, anxiety, agitation, seizures, and sleep disorders (insomnia). According to some recent studies conducted by herbalists, passionflower may aid in treating a few conditions such as hysteria, asthma, attention deficit hyperactivity disorder, high blood pressure, menopausal & postpartum depression symptoms, gastrointestinal discomfort, fibromyalgia, hemorrhoids, muscle spasms, inflammation, and burns. 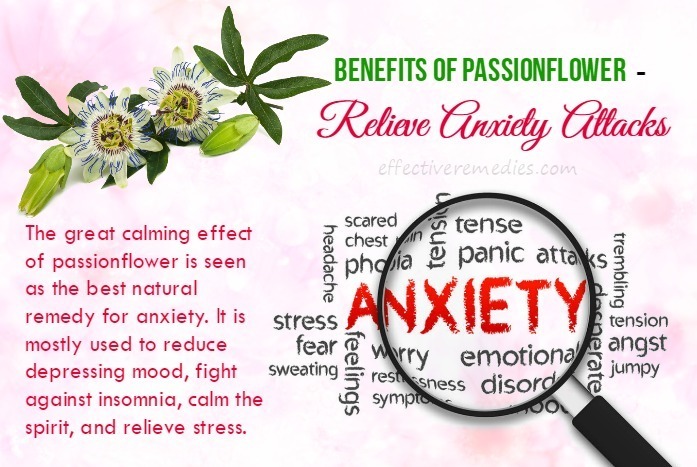 Passionflower has also been applied to deal with symptoms resulted from alcohol withdrawal or narcotic drugs. Firstly, boil 250 ml of clean water. Then, add 1 tsp. of dried passionflower to the boiling water. After that, allow this water to boil for at least 10 minutes so that it may release its extracts well. Now, strain the tea and then consume it after cooling it down for 5 minutes. 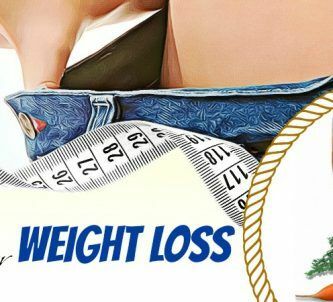 Follow this way two times per day for at least three weeks to get the best result. First of all, take 1 tsp. of dried passionflower and steep it in 1 cup of boiling water for at least 10 minutes. After that, strain this tea. You should have one or two cups of this tea per day to get rid of the seizures. Or, you may also take this herb in tablet, capsule, tincture, and liquid extract forms after consulting your doctor. In fact, passionflower tea is considered as an effective remedy for many stomach issues such as an upset stomach or indigestion. 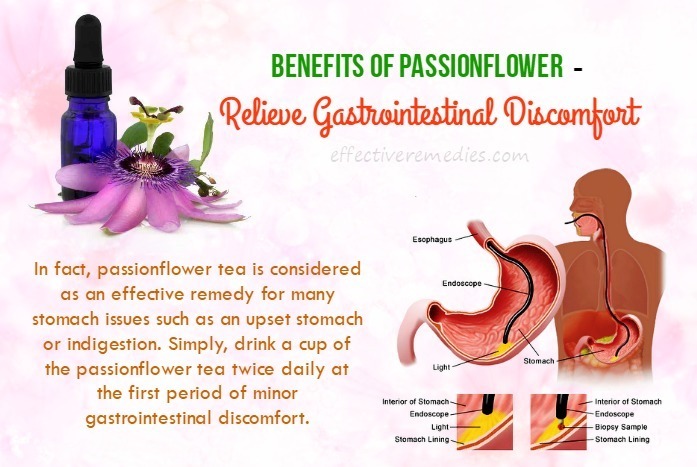 Simply, drink a cup of the passionflower tea twice daily at the first period of minor gastrointestinal discomfort. If this discomfort is not reduced within 3 days, it is best for you to consult your doctor to ensure that it does not cause any serious issue. According to a study in the “Pharmaceutical Biology” in 2012, if you are trying to quit smoking, using passionflower may give you a natural method to keep your cravings for nicotine at bay. In this study, researchers tested the ability of passionflower extract to reduce symptoms of nicotine sensitization on rats and realized that passionflower extract could significantly relieve these symptoms. These researchers called for further research to determine how this extract can be used in the programs of treatment for smoking cessation. First of all, add 2 tsp. of the dried passionflower to one cup. Then, pour boiling water into it and cover it. Now, steep this plant for about 5 minutes. After that, strain this tea and drink it. It is bets to take 2 or 3 cups per day. Alternatively, you may also combine passionflower with valerian root to substantially boost up the benefits of passionflower for insomnia. Tea: Take 1 tsp. of the dried passionflower and steep it in 1 cup of boiling water for at least 5 minutes. Then, strain and cool it down. Finally, drink 3 or 4 cups per day. Tincture: Have 10 to 45 drops for 3 times a day. Remember to read the dosage instructions labeled on the tincture bottles. You can also add some drops to your drinks or mix them with your food. According to the National Institute of Health, the passionflower extract when mixed with the Hawthorne herb is very beneficial in curing difficulty in exercising as well as the shortness of breath in those who suffer from intense congestive heart failure. Although there is currently no research on this function; hopefully, this beneficial health advantage will be also supported by scientific research in the near future. In a study, the extract of passionflower increased levels of an antioxidant enzyme while reducing levels of oxidized lipids that are broken from accumulated waste and toxins. Investigators in this study administered a dosage of 8 milligrams per day for 5 days. And the results show that taking this herbal extract may help to reduce high blood pressure. For those who suffer from mild levels of hypertension; apart from maintaining a healthy lifestyle including regular exercise and a good diet, drinking 1 cup of passionflower tea every day has been shown to help to regulate blood pressure levels. However, people taking medication for this health condition do not drink passionflower tea because it can fall blood pressure levels to dangerous levels. According to a scientific study published in the Iranian Journal of Nursing & Midwifery Research in 2010, consuming the extract of passionflower greatly improves depression and other menopause symptoms such as insomnia, anger, and headache. 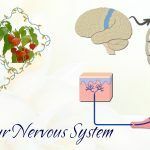 People took part in this research were made to have passionflower supplements every day for 6 weeks, but significant symptom improvement occurred in the 3rd week. 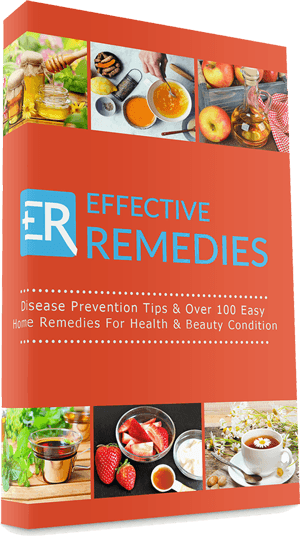 For this reason, the scientists concluded that this extract can offer numerous benefits for menopause in women who cannot take any type of available hormonal supplements. According to another study published in the “Journal of Clinical Pharmacy &Therapeutics”, passionflower is beneficial in curing opiate withdrawal. In this study, opiate addicts treated with the extract of passionflower and the clonidine medication were compared with people treated with clonidine and placebo within 14 days. Both treatments were equally effective in relieving the physical symptoms of withdrawal, but the group applied the passionflower extract and clonidine medication had greatly control over mental symptoms including anxiety. As mentioned above, passionflower is very famous for its anti-inflammatory & analgesic activity. Hence, applying a tea bag of passionflower to a body area having a minor burn, pain, or inflammation may aid in relieving discomfort. Simply, take a passionflower tea bag and soak it in a small amount of tepid water. Let this tea bag absorb the water for 5 minutes. Apply this soaked tea bag to the affected area for at least 15 minutes. Do this process for 3 times per day. Firstly, take 1 tsp. of the dried passionflower and then add it to 1 cup of hot water. Now, steep it for at least 10 minutes. Next, strain it. Finally, have this tea a few times daily. Another choice, you may also take the passionflower supplements after consulting a doctor. Thanks to the high content of vitamin C and antioxidants, passionflower oil aids in slowing down the damage that results in the appearance of skin aging. 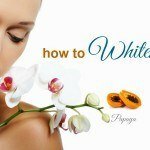 In addition, it helps to preserve elastin & collagen, which keep the skin looking youthful & firm. Passionflower is great in vitamin A, which is essential for growing and repairing the cells. A number of phytochemicals found in this oil also help the body to produce vitamin A that is effective in reducing the appearance of wrinkles. A high source of fatty acids including linoleic & oleic acids “feed” your skin, which helps to maintain the skin structure and keep the skin looking smooth and plump. It also aids in reducing the appearance of fine lines. The passionflower oil is non-greasy and light and your skin may absorb it very quickly. 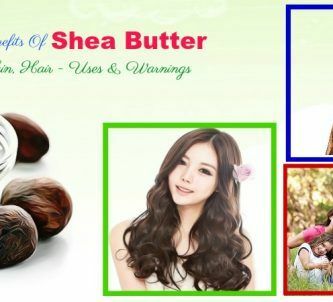 It is considered the great moisturizer or cream for all skin types. 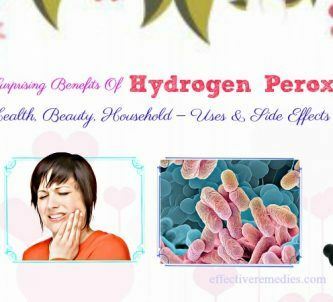 In addition, it also works well for an acne-prone skin thanks to its non-clogging moisturizing property. What Are The Side Effects Of Passionflower? Passionflower seems to be safe for most people to take by mouth in amounts found in food. It seems to be safe to take short-term (no more than two months) as tea or medicine. It seems to be unsafe to take by mouth in a large amount. Passionflower may cause side effects such as confusion, dizziness, altered consciousness, inflamed blood vessels, and irregular muscle action & coordination. In addition, there has been a report of vomiting, nausea, drowsiness, abnormal heart rhythm, and a rapid heart rate in some people who took it. Now, there is not enough evidence to tell the safety of using passionflower to apply to the skin. 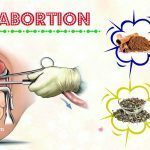 Pregnancy & breastfeeding: Avoid taking passionflower when you are pregnant. This is completely unsafe. There are a few chemicals found in passionflower that may contract the uterus. The safety of consuming passionflower during breastfeeding is not unknown. Therefore, don’t use it. Surgery: This plant has an effect on your central nervous system. It may raise the effects of anesthesia as well as other medications on your brain during & after surgery. Stop taking this plant at least two weeks before a surgery. Where And How To Buy Passionflower? You may find passionflower at herbal food stores & online herbal websites in many forms such as tablets, capsules, liquid extracts, and tea bags. When buying passionflower products, you should make sure that these products are organic and are prepared with passiflora incarnata or maypop because this species of passionflower is the most popular & best-understood species viewed from a health perspective. 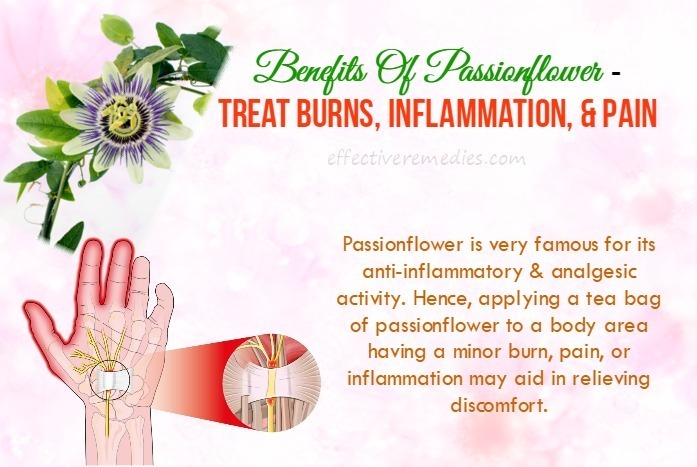 Here are a few of health benefits of passionflower that you should know. Hope that this article can help you know more this spice as well as its uses. 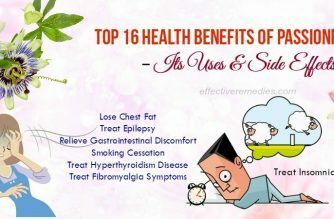 If you know other health benefits of passionflower, please share with us.